When I think of spring, my memories take me back to when I was in Grade 3 or 4. I remember waking up to the sound of Australian birds chirping in our gum tree and Banksia bushes. I remember the warmth of the morning sun as its rays peeked in between the tall trees. The air smelled of divine freshness as I walked to school with my older brother and younger sister. I remember touching every bush and flower and breathing in their scent as we walked along. Ah… to be young again! Not that I’m that old now… But, for some reason, the older I have become, the harder it is to find time to enjoy those little things now! Strange, isn’t it!? Alrighty! Enough with the reminiscing! 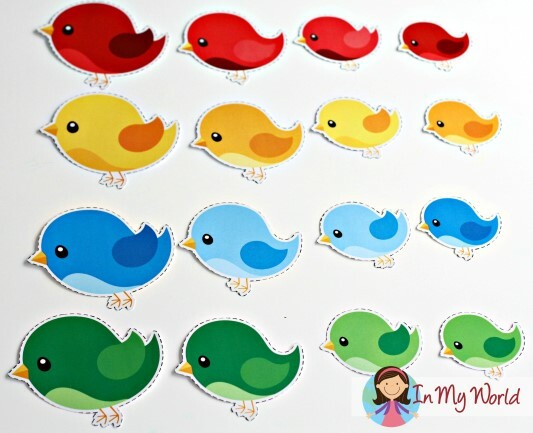 Time to get to the reason we are here: to give you all a sneak peak at what’s included in my Spring Preschool Centers. 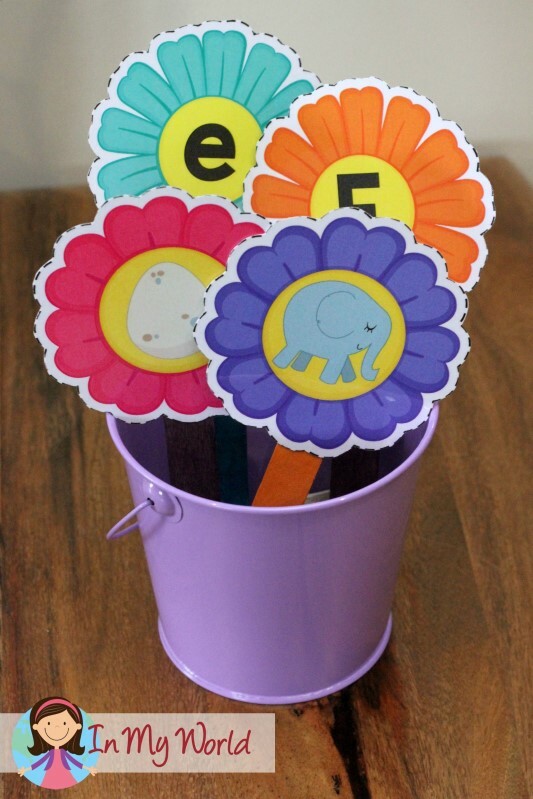 PLEASE NOTE: This blog post contains sample pages from my Spring Preschool Centers packet. You can download the free sample pages by click on the photos. To purchase the complete Spring Preschool Centers packet, please click here! 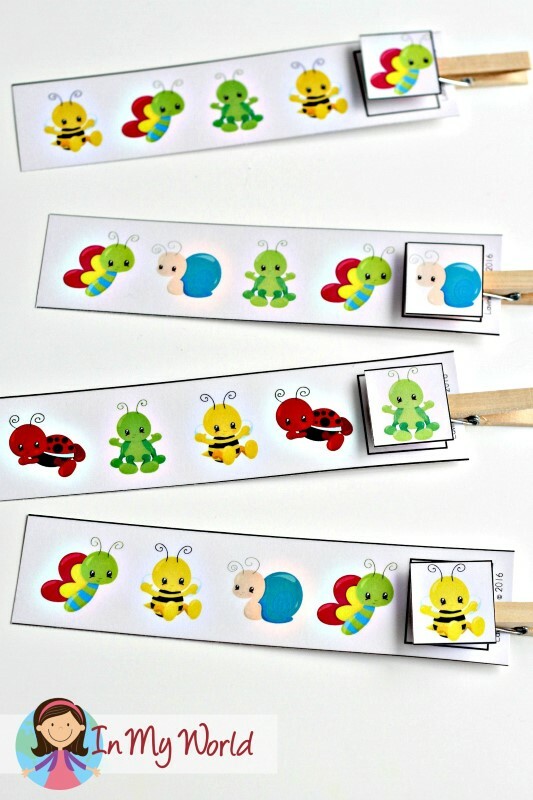 Next, there is a letter and beginning sounds matching activity. 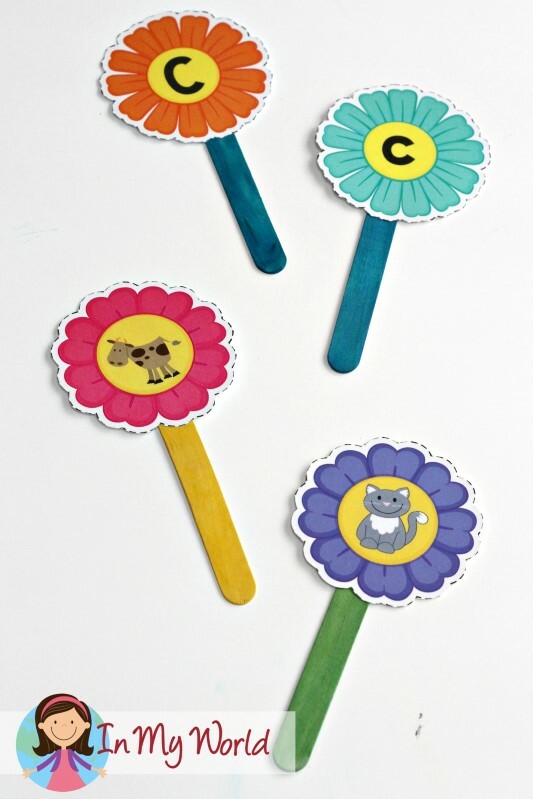 After laminating and cutting our the flowers, I stuck them on to some coloured Popsicle / icy-pole sticks and voila! You could put them into some pots with a label on the front and ask children to put the flowers into the correct pots. 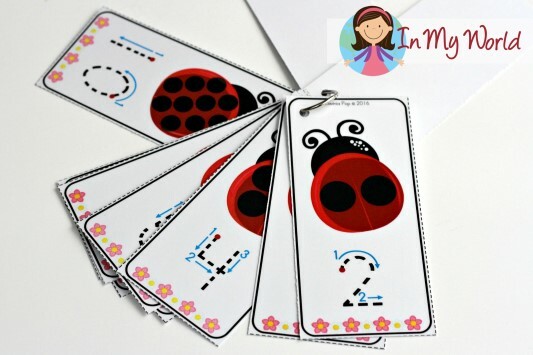 If your kiddos are confident with alphabet order, they will definitely love this next activity! 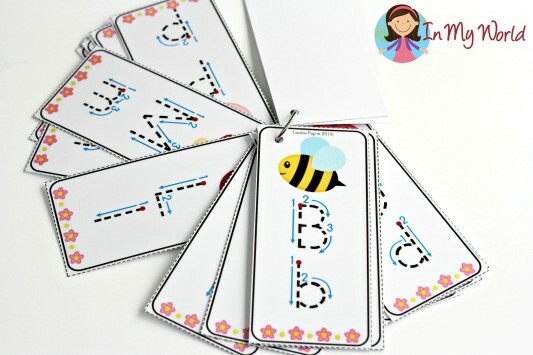 They have to clip the missing letter in the correct spot to complete the alphabet sequence. 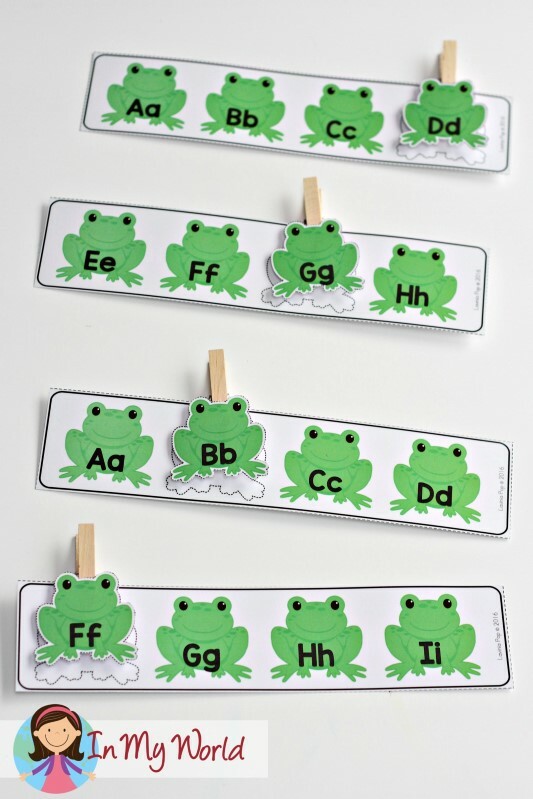 You could attach Velcro dots on the back of each frog and empty spot, but I am not really a big fan of that; I prefer using clothes pegs because little fingers get a good work out as they squeeze to clip and unclip the pegs. 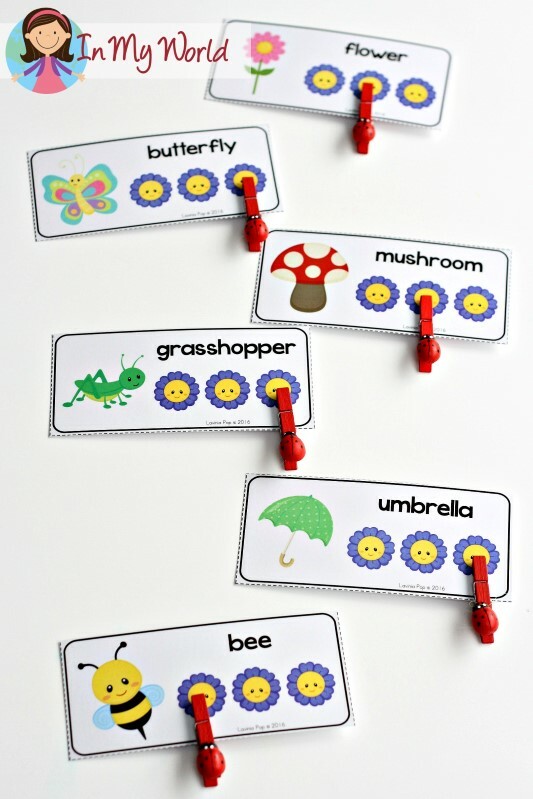 Once children have learnt letter sounds, they can move on to reading CVC words. 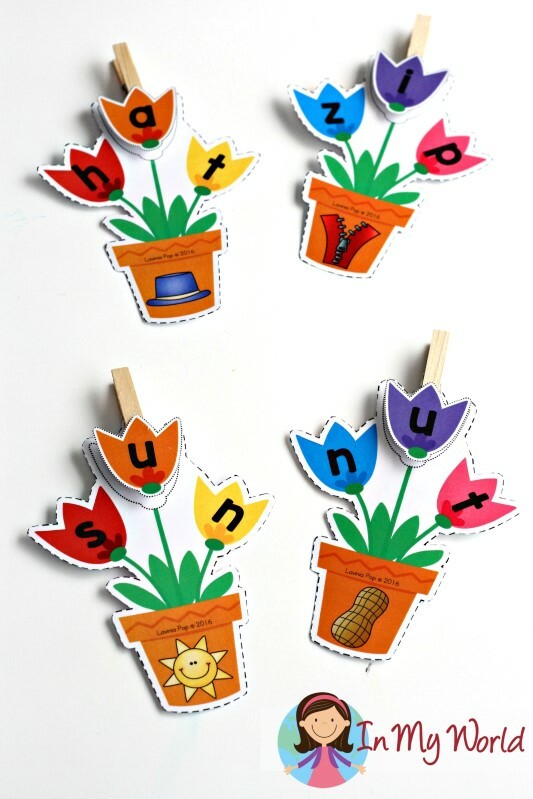 The next activity requires children to say the CVC word on each pot and identify the missing short vowel sound. Once they have identified the missing vowel, they clip it to the middle spot to complete the word. Next, there is a rhyming activity. 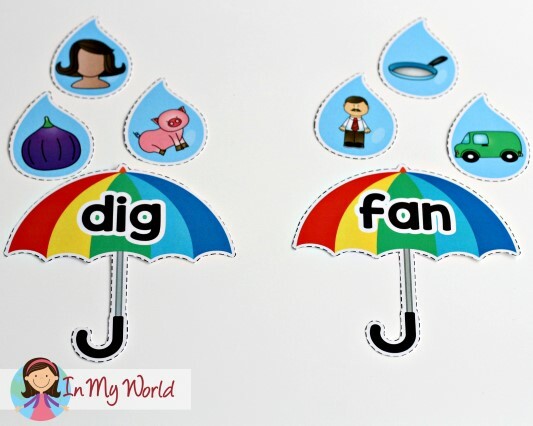 Children sort the water droplets on top of the umbrella with which they rhyme. 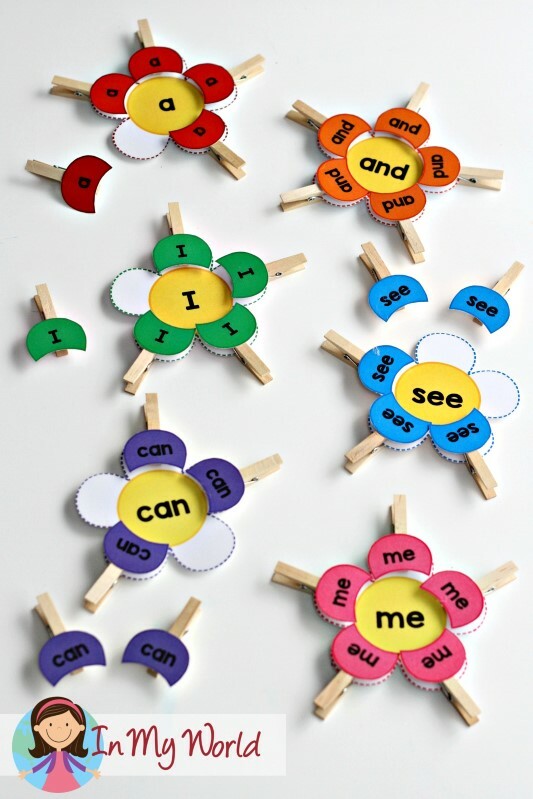 I also included a flower petal sight words sorting activity. 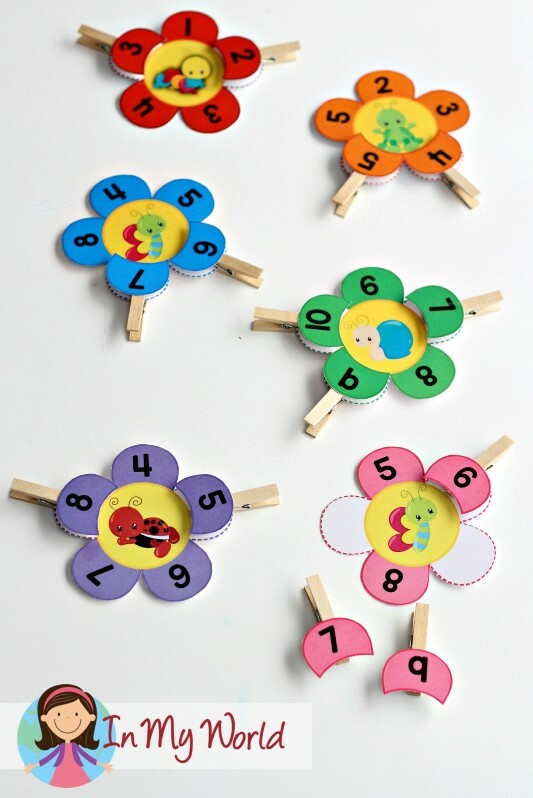 This activity requires quite a bit of cutting and gluing on to clothes pegs, but I know it will pay off as your kiddos will LOVE this activity! I used small pegs for this activity as the regular ones were too too big. 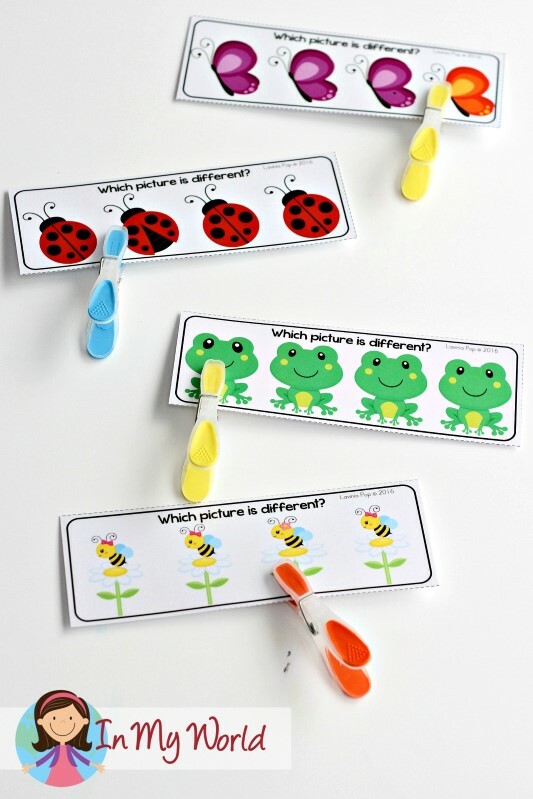 Moving on to practice some visual discrimination, the next activity asks children to identify which picture is different. I also included a “What Doesn’t Belong” activity. I really love this activity as it requires children to access their prior knowledge to figure out what shouldn’t be there. 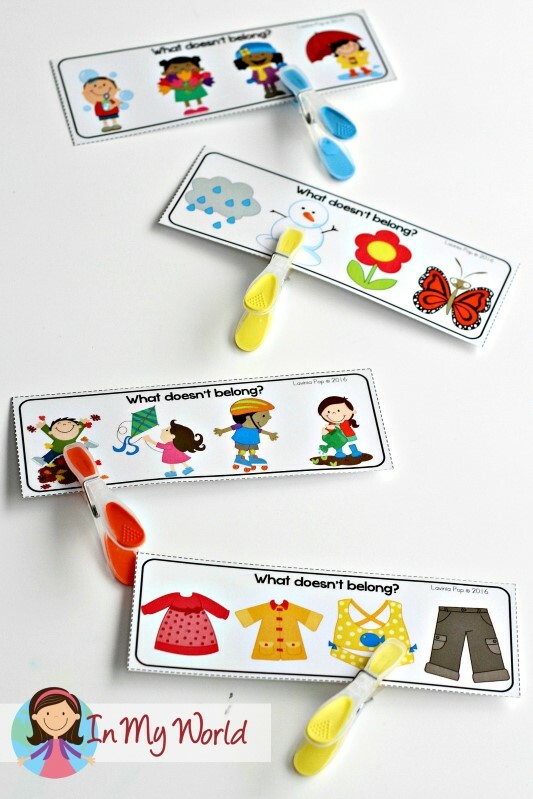 It’s a good way of checking to see how much kids understand about seasons and the weather. 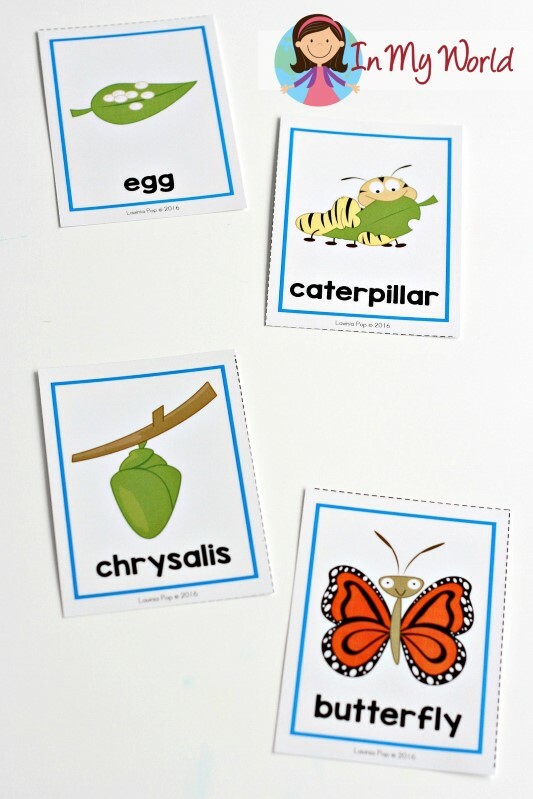 I also included a 4-part Butterfly Life Cycle sequencing activity. 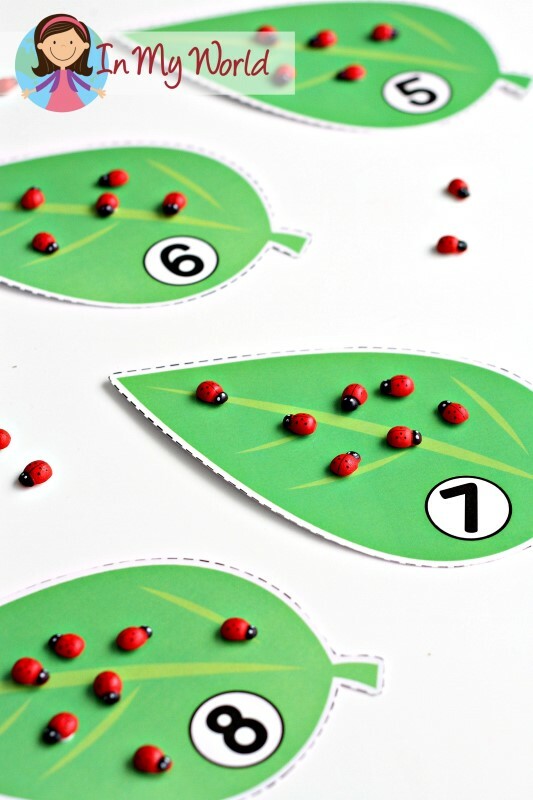 Moving on to some numeracy activities, the next activity requires children to match the spots on the ladybug / ladybird to the leaf with the correct numeral. 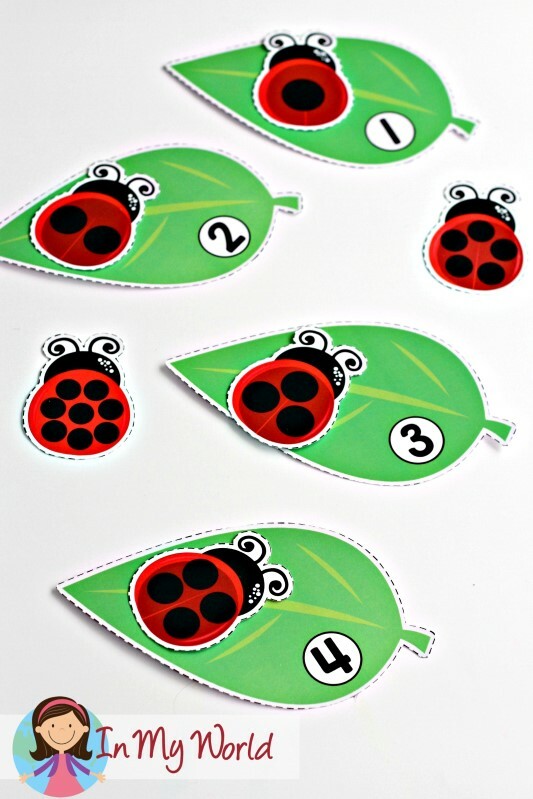 If you have small wooden ladybugs or other insect, you can have children count them, as pictured below. 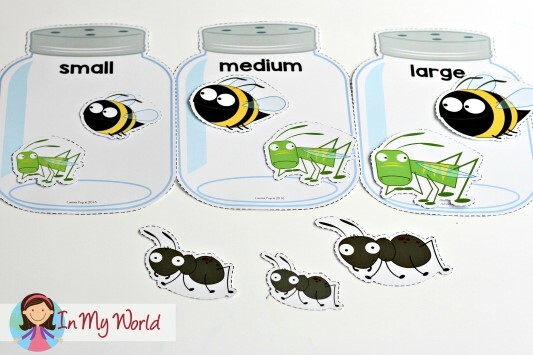 Next, I included an insect sorting activity. I thought it was s stroke of genius to use jars to sort them. Now that I think about it, perhaps it would have been even more clever to have different-sized jars…? 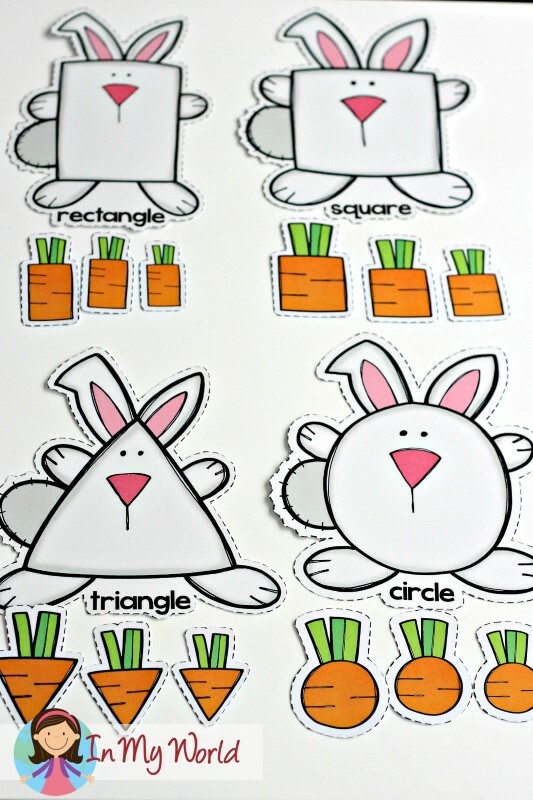 I also included a carrot shape sorting activity. 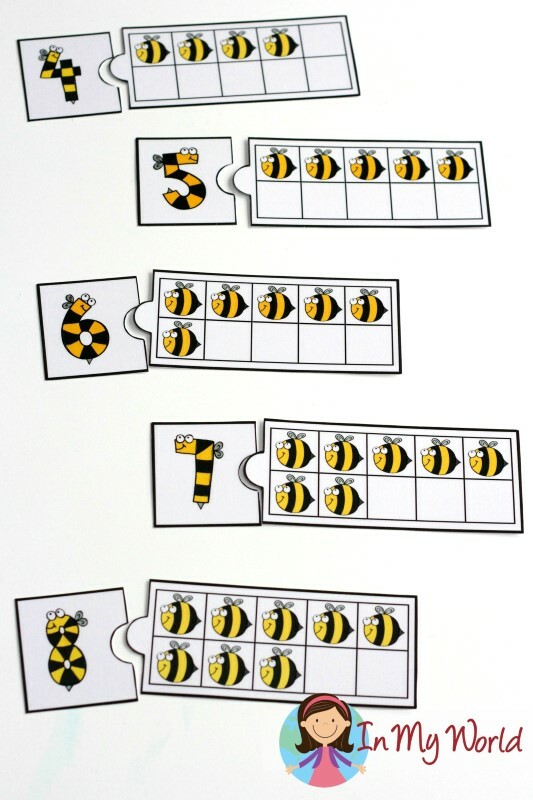 I also included number tracing cards with correct formation. Because spring means kids learning to fly kites, I had to find a way to include them in this packet. 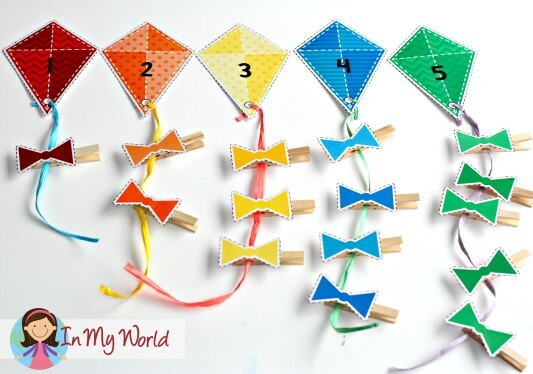 The next activity has children counting out bows and clipping them to the tail of each kite. I colour co-ordinated my bows, but feel free to have your kiddos mix up the colours! I also included a ten frame matching activity. The last activity is a patterning activity. I have included AB, ABB and ABC cards. I have tried to include as much variety in this packet as I know your preschool and kinder kiddos may be at different levels at this point in time. 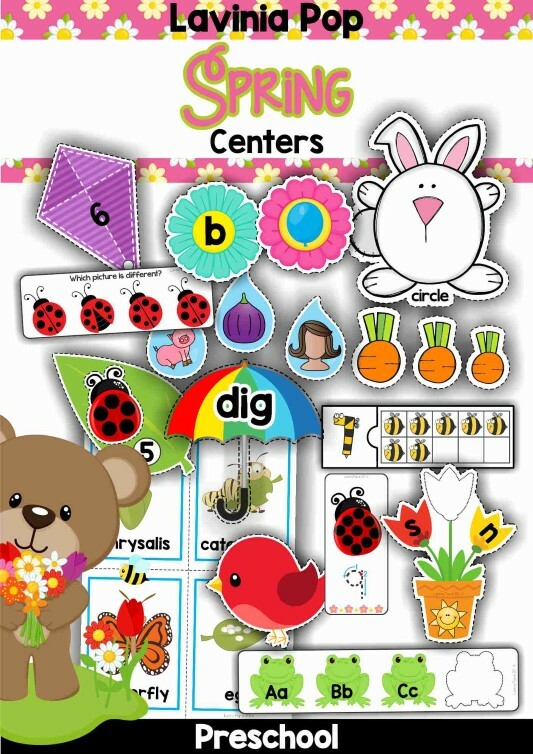 If you liked the samples from this post, you can purchase the complete Spring Preschool Centers packet by click the picture below. If you’re sitting there thinking, “No way jose! 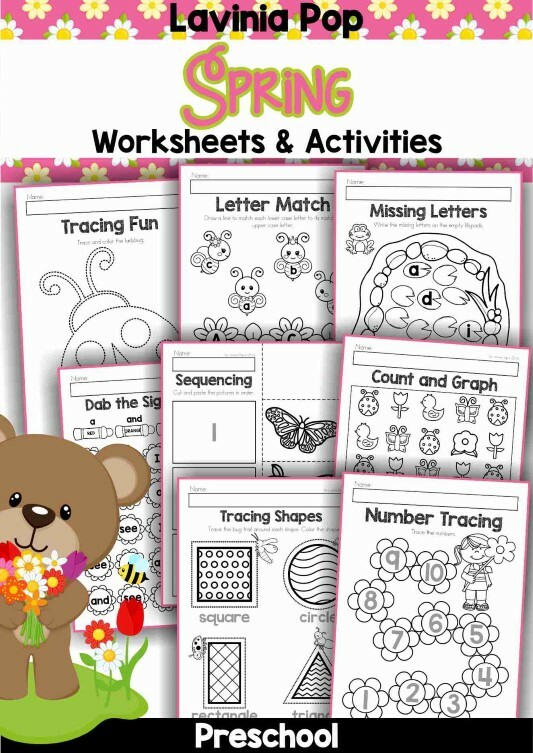 That’s way too much prep time for me,” you might like the Spring Preschool worksheets packet below. Click the picture to check it out in my Tpt store. While there, be sure to download the preview to check out some sample pages! I love your activities! I copied the kite activity for my granddaughter and did not save it and thought I had lost a page. I have spent countless hours trying to find your page again! Can’t tell you how happy I was to find it today! The bows for the tail are missing for the first three kites. Could you please send them to me or add them to the post? My email is gayleoneill15@gmail,com. Thank you!